This summer, answer the call of the Alaskan wild. Join us August 21–24 on the stunning shores of Tutka Bay as we bake our way through the last frontier. Don’t miss this once-in-a-lifetime opportunity to refine your baking skills and experience Alaska like you’ve never seen it before. To make the booking decision even easier, here are the top 10 reasons why our Alaskan Baking Retreat should at the top of your baker’s bucket list. Tutka Bay Lodge / Photo courtesy of Tutka Bay Lodge. An exclusive itinerary, customized for the baking enthusiast, allows participants to experience Alaska like never before. The editors of Bake from Scratch worked with Within The Wild Adventure Company and the talented team at Tutka Bay Lodge to create an interactive, dynamic retreat schedule packed with unique, enriching experiences so you can fully immerse yourself in Alaska’s multifaceted baking scene. Whether this is your first journey to Alaska or you’ve visited a dozen times before, our itinerary is perfect for you. 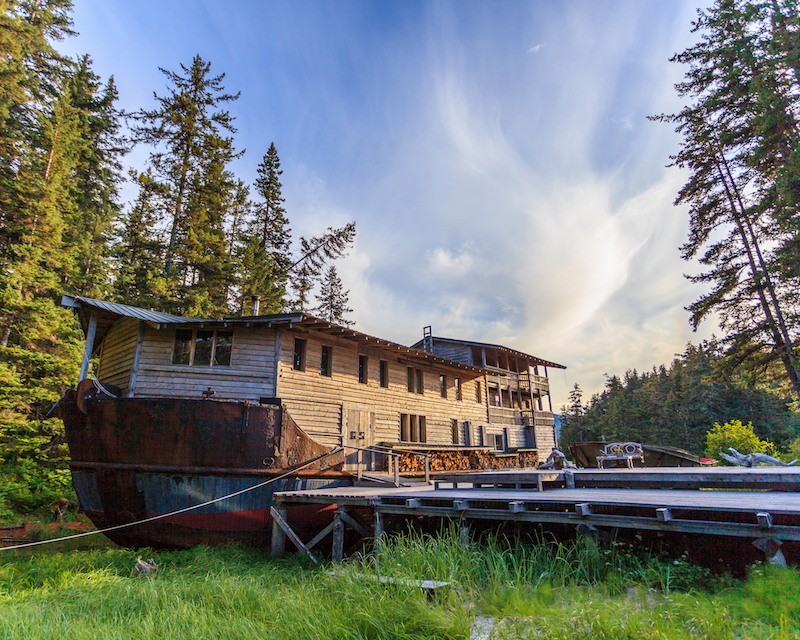 Tutka Bay Lodge, our home base for the retreat, epitomizes the authentic Alaskan experience but also offers a distinctive culinary edge unlike any other resort in the state. 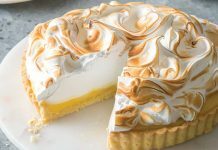 Enjoy hands-on baking classes from Alaska’s top pastry chefs as well as guided visits to the top bakeries of Anchorage and Homer. We’ll show you a side of Alaska that you’ve never seen before. Every day of the retreat has opportunities for both adventure and tranquility. Unplug, bake, and breathe in the fresh mountain air. 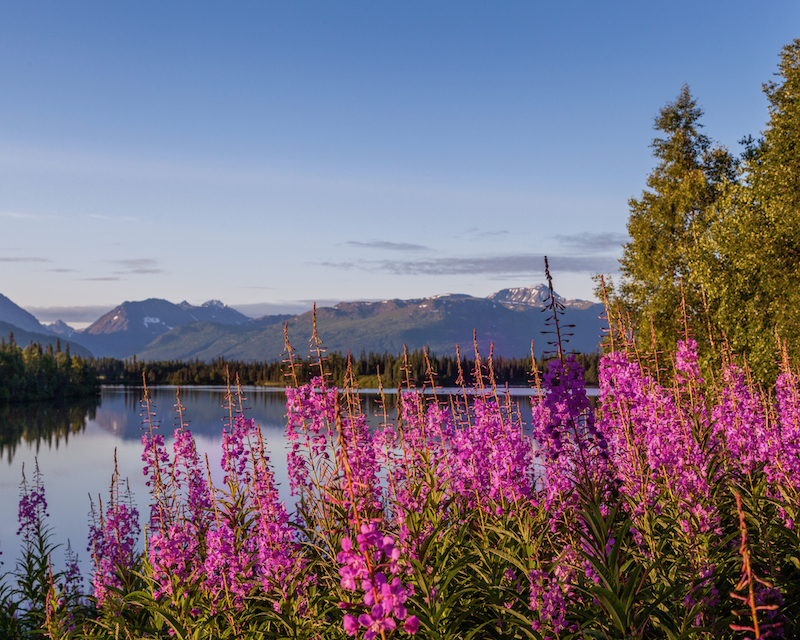 Let yourself be captivated by Alaska’s gorgeous landscape and culinary prowess. Get to know Alaska in its peak season. With about 16 hours of sunlight a day, and temperatures averaging around 60 degrees with the cool mountain breeze, August is the perfect time to visit. Because it’s the best time for whale-watching, you’ll see majestic humpback whales, orcas, belugas, and more frolicking in the sea at any given moment. August is also the height of growing season, when the land bursts with fresh fruits and vegetables. Get a taste of Alaskan salmon during salmon season. After a multicourse dinner, bask in the midnight sun on a casual stroll through the old-growth forest or a sunset cruise. 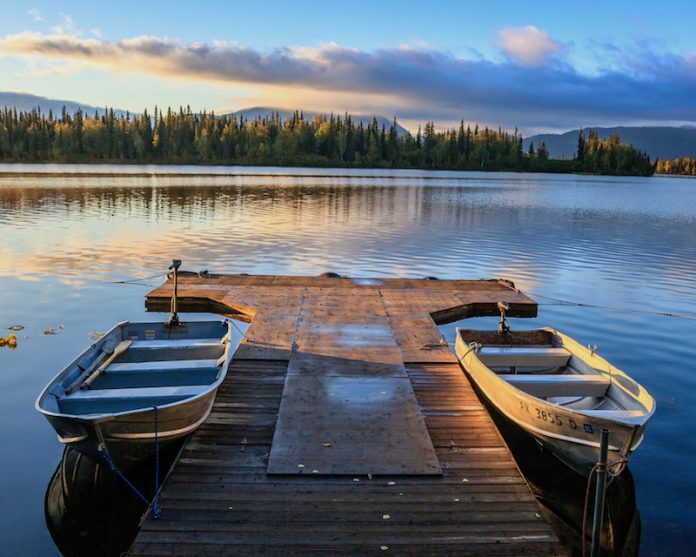 Tutka Bay Lodge is the perfect backdrop to discover Alaska. On one of the last stretches of temperate coastal rain forest spanning the coast of the Pacific Northwest, the Tutka Bay area is filled with dramatic snow-capped mountains, quiet pristine beaches, and old-growth Sitka spruce forests. Tutka Bay Lodge sits at the entrance to a splendidly rugged 7-mile fjord on the southern tip of the Kenai Peninsula on Kachemak Bay, 9 nautical miles across from Homer, Alaska. 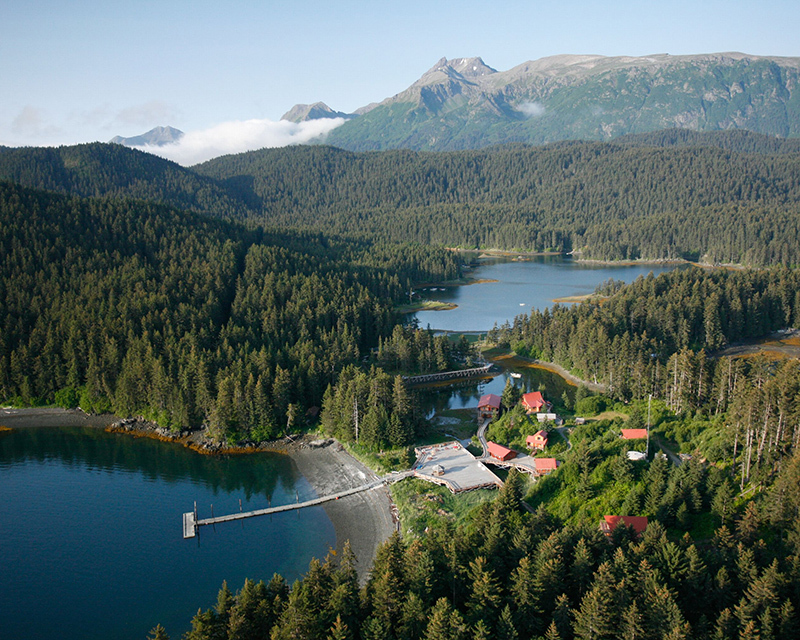 The ultimate secluded getaway, this water’s-edge resort offers an unrivaled luxurious side of Alaska. We’re not the only ones who can’t get enough of Tutka Bay Lodge. Check out why National Geographic, Forbes, Fodor’s Travel, Where Traveler, and Condé Nast Traveler are in love with it, too. Learn from the lodge’s incredible staff, all of whom are Alaska experts. There is a high staff-to-guest ratio—the advantage of such a small lodge. Stay in one of the lodge’s deluxe handcrafted wood cabins with comfortable beds and stunning sea and snow-capped mountain views. The lodge’s buildings are linked by a boardwalk above tidal pools alive with sea stars and anemones. Other amenities include the cozy main lodge, steam room, yoga classes, daily wine tasting, and daily adventure activities. Hike the winding trails of the old-growth forest, or kayak on the clear waters of the stunning miles-long fjord available at your doorstep. At the end of each day, return to your comfy cabin for a massage or relax in the beachfront wood-fired hot tub. The lodge’s culinary offerings are just as captivating as the landscape surrounding it. Goop recently named it to their list of “17 Places to Put On Your Chef Hat.” You may not expect to find world-class and James Beard-recognized cuisineat a remote resort in the middle of the wilderness, but award-winning master chef Kirsten Dixon and her daughter Mandy Dixon offer just that. 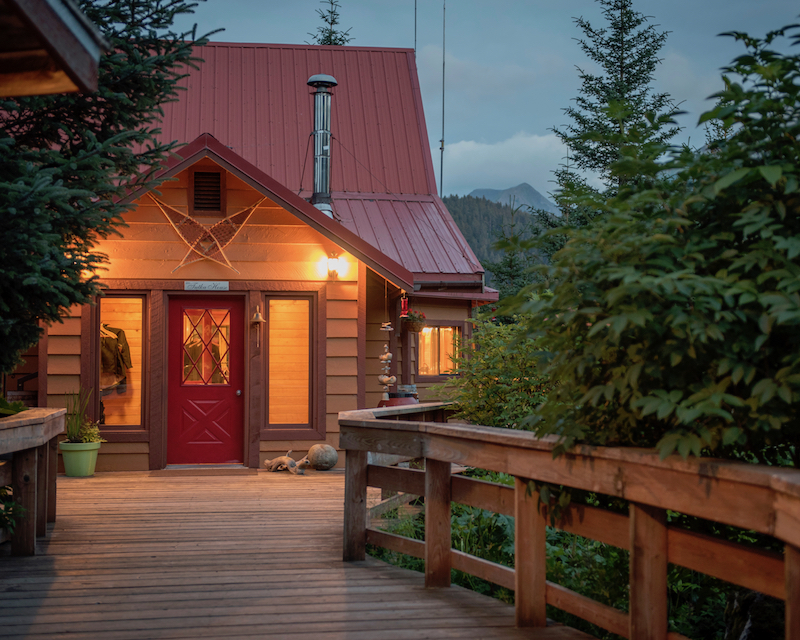 Tutka Bay Lodge is the brainchild of Kristen and her husband, Carl. Fresh Alaskan fare is part of the signature Tutka Bay Lodge experience, and Kirsten carefully selected the lodge’s award-winning culinary team to ensure that all three daily meals are incredible. Their sea-to-table cuisine embraces seasonal and regional ingredients. The best part? All meals at Tutka Bay Lodge and local restaurants on the retreat are included. 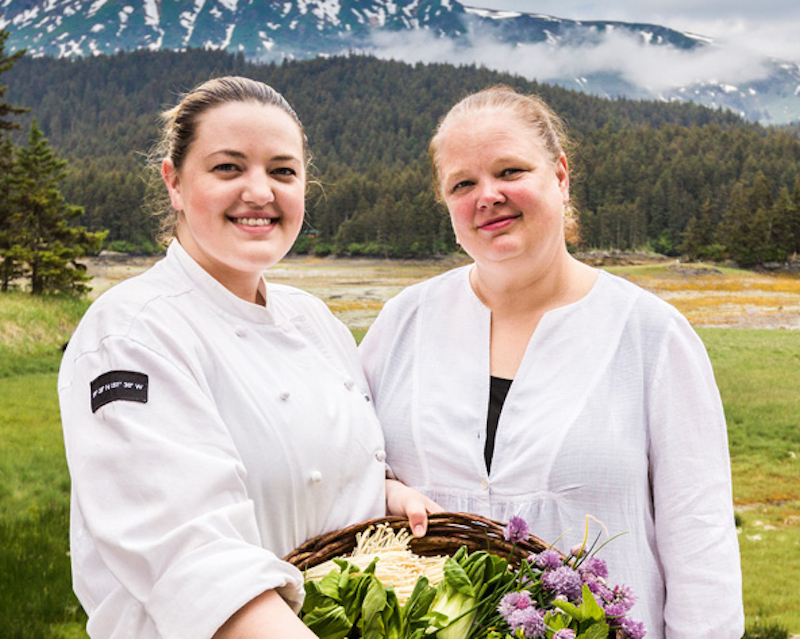 Learn from the mother-daughter chef duo putting Alaska on the forefront of the culinary scene. Hands-on baking classes will be held in The Cooking School at Tutka Bay, where Kirsten and Mandy educate guests and locals alike on Alaskan fare. For the retreat, Kirsten and Mandy created an exclusive baking-concentrated curriculum: You’ll get quality time and devoted attention from the chefs while mastering everything from bread to pastry in an intimate, one-of-a-kind learning environment. Kirsten, who studied at Cordon Bleu in Paris, has been cooking in the backcountry of Alaska for more than 30 years and has become one of the state’s best-known chefs and cookbook authors. Mandy grew up in her mother’s kitchen, going on to train at Le Cordon Bleu in Pasadena, California, and the Culinary Institute of America in St. Helena, California. Mandy also worked as a pastry chef for the Thomas Keller Restaurant Group in Yountville, California, for several years before returning to the family business. Learn more about what fuels her passion for Alaskan cuisine in this exclusive Q&A. 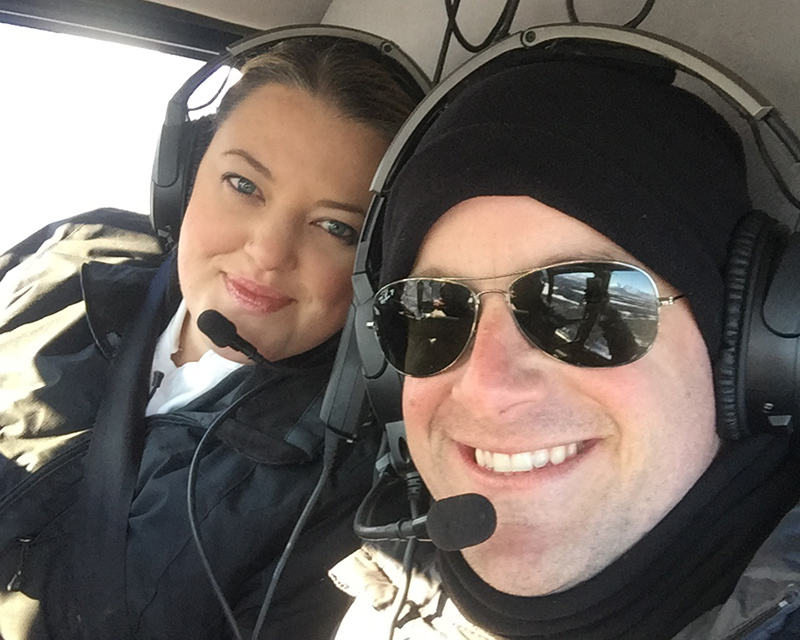 Mandy Dixon and editor-in-chief Brian Hart Hoffman taking a scenic helicopter ride during one of Brian’s recent visits to Alaska. 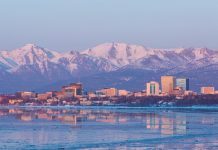 Beyond Tutka Bay, explore Anchorage and Homer, two cities that epitomize the true spirit of Alaska. Try some of the best bakeries and restaurants both cities have to offer. 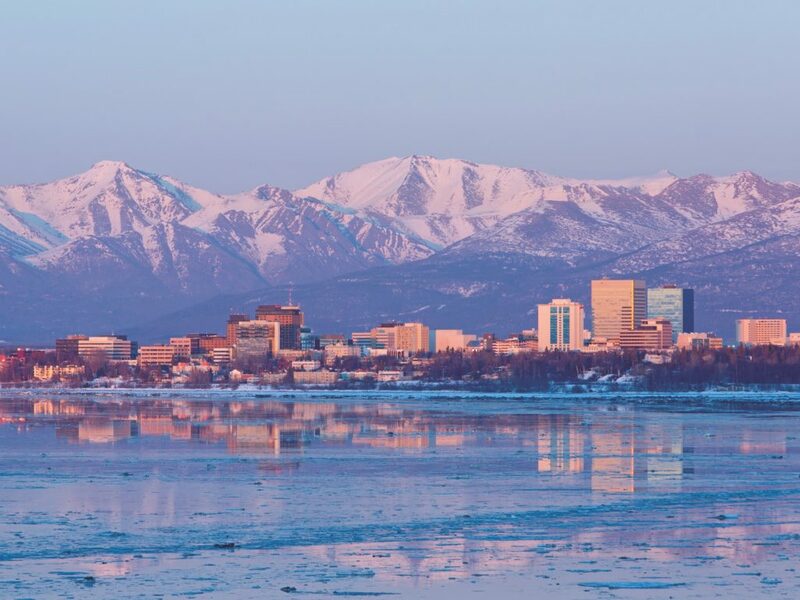 Alaska’s largest city, which boasts a stellar pastry scene, Anchorage is the gateway to the charms of the state. (See Mandy’s must-visit Anchorage bakeries!) 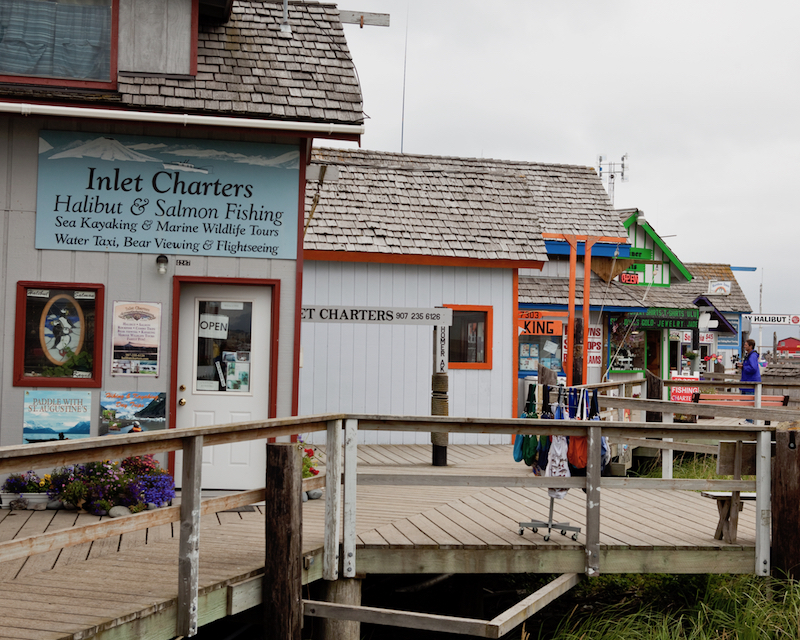 The focal point of Homer is the Homer Spit, a vibrant strip of land with quaint shops, restaurants, art galleries, and beaches. 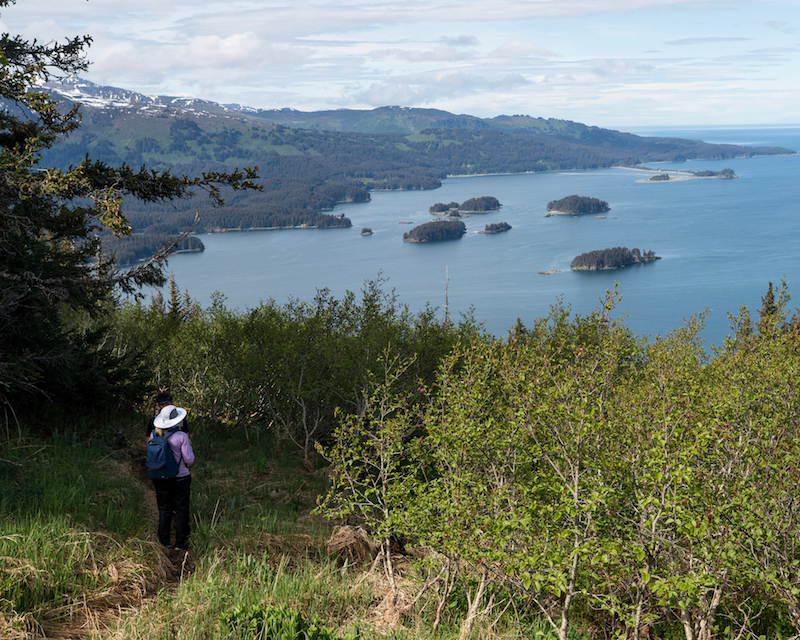 See fishermen docking with the day’s fresh catch, and watch the whales frolic in Kachemak Bay. Traveling to and between cities in Alaska can be intimidating, but we make it easy for you. Once you fly into Anchorage, we take the reins from there. We’ve made all the travel arrangements between Anchorage, Tutka Bay, and Homer, so all you have to do is enjoy the (beautiful) boat and plane rides along the way. This retreat offers one-of-a-kind baking experiences and complete immersion in Alaska’s food scene, where farm- and sea-to-table isn’t a trend—it’s a way of life. Experience the memorable flavors of fresh and local ingredients reimagined in creative ways, not just at high-end restaurants, but everywhere. Beyond tasting the freshest halibut, salmon, crab, and oysters you’ve ever had, you’ll also bake with the day’s fresh catch. You’ll learn to make Mandy’s Russian Salmon Hand Pies. Forage and bake with the season’s homegrown vegetables, berries, mushrooms, and more. You’ll utilize these wild, freshly foraged ingredients to prepare a wild berry jam-filled yeasted bread, and bake it in an outdoor oven. Flex your creative culinary muscles, and develop your own sauces for your sourdough flatbread, made with Within The Wild’s 9-year-old starter. 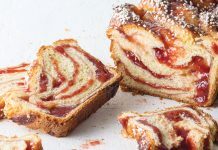 Aside from the practical home baker-friendly bread and pastry skills you’ll learn on the retreat, you’ll enjoy unique baking adventures, from baking bread in a cast-iron oven under the sand to attending baking class in a renovated 1940s crabbing boat that once carried troops during World War II. (Kirsten and Mandy run Tutka Bay Lodge’s cooking school in the two-story, on-site vessel.) 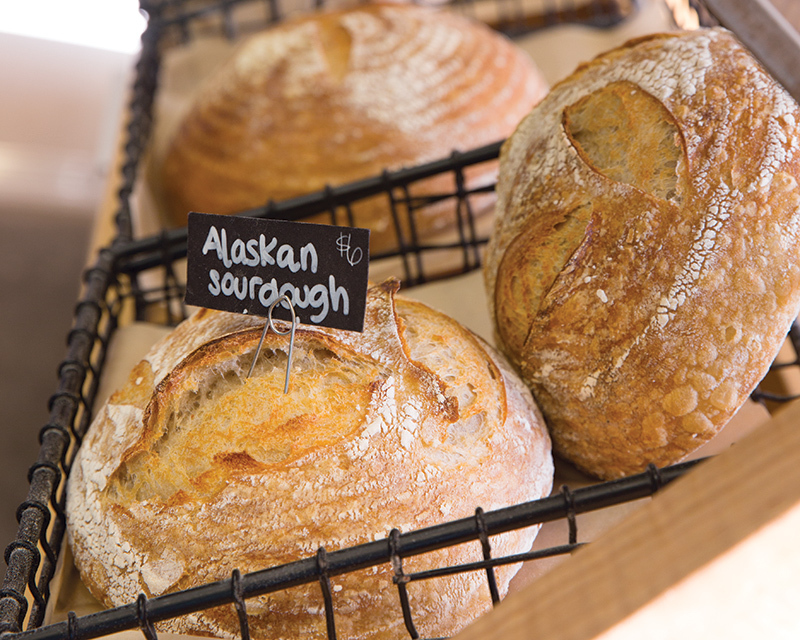 Learning about Alaskan baking is learning about baking from all over the world. The multicultural cuisine is influenced by Asia, Russia, and Nordic countries, and several food techniques that originated in the Gold Rush era, like sourdough bread. We’ll show you how each baked good is a part of Alaska’s culinary story. Want to share the experience with someone special who may not be as interested in baking as you are? Bring them along! There are plenty of other activities for your travel companion to enjoy, including hiking, fishing, kayaking, massage therapy, yoga, afternoon wine tastings, and more. Since all outings, meals, and activities are included in the trip package (except fishing license and massage therapy), there’s no reason why you shouldn’t bring your spouse or a friend. 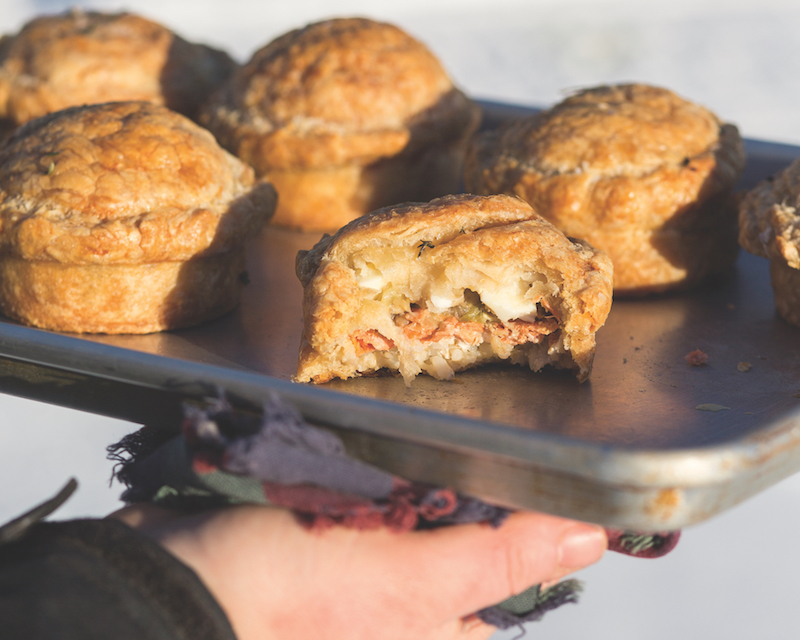 We’re offering the Alaskan Baking Retreat price at a discounted rate. Our exclusive package deal means over $1,100 in savings per person! Bookyour spot today!